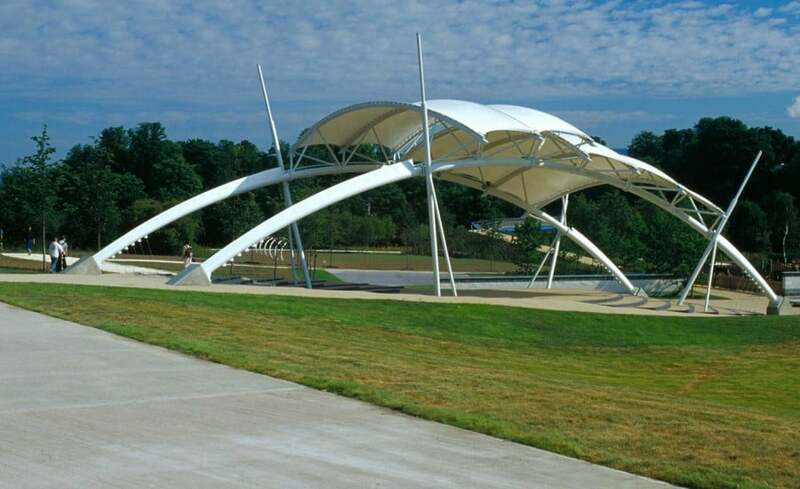 A visually striking piece of tensile fabric architecture set in an urban park as part of a project to regenerate an open public space in Maidstone, Kent. 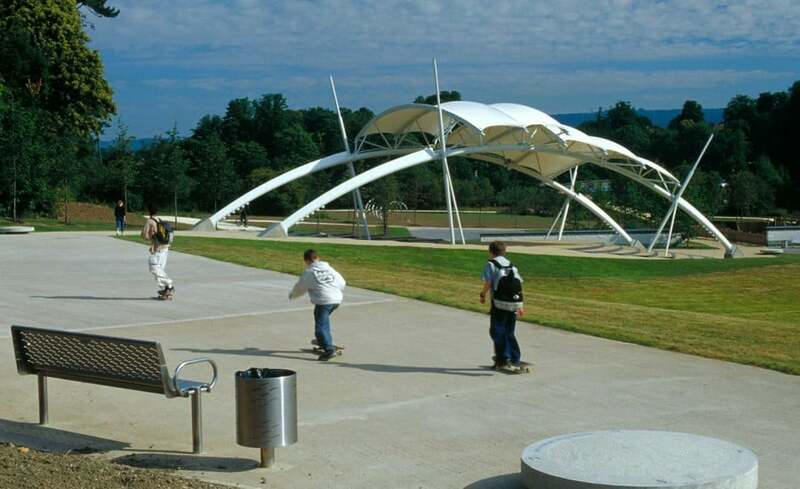 Five barrel vaulted canopies mounted atop two elegantly rolled CHS arches provide 192 square meters of shade and shelter as well as being a striking visual feature of the park environment. 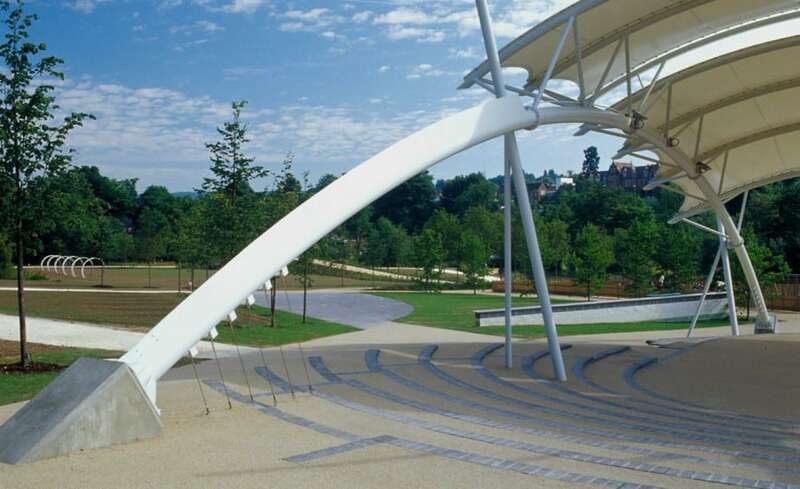 The Whatmans Field Project drew together the best of soft and hard landscaping, architectural steelwork and tensile fabric technology to provide a centre point to the Medway town council’s successful efforts to rejuvenate deadbeat urban parkland. 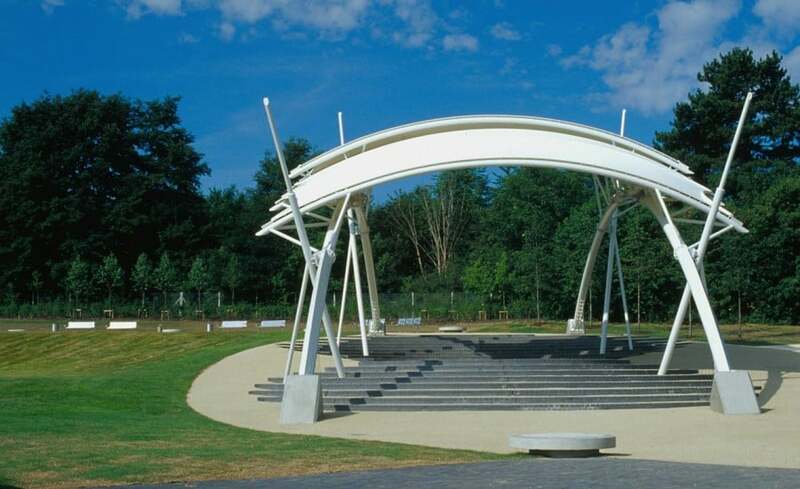 The canopy itself with its exciting styling forms a covered stage in a newly landscaped area, reclaiming the park for communal public activity. 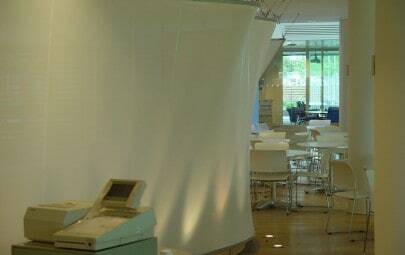 Squatting on its haunches, the steel and PVC barrel vaulted arrangement together with its bespoke lighting provides a focus point for this scheme.